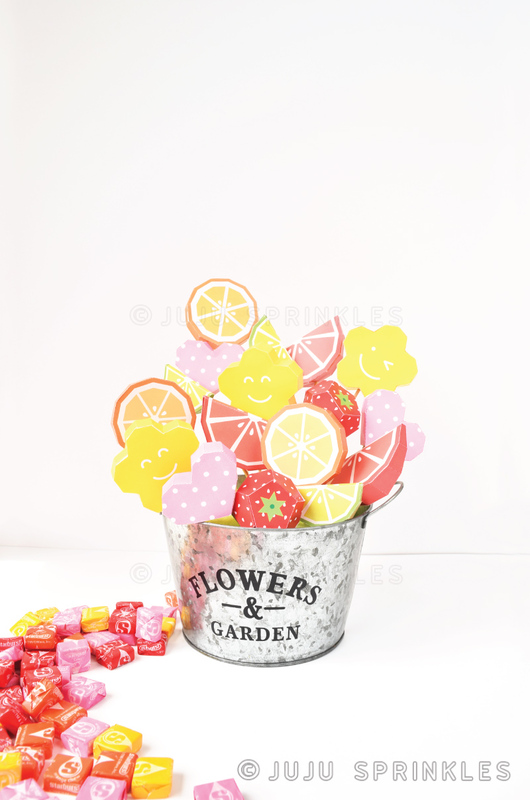 Fruit bouquets are a delightful gift or centerpiece at any parties or events. I still can’t believe how easy and budget friendly it is to make your own. 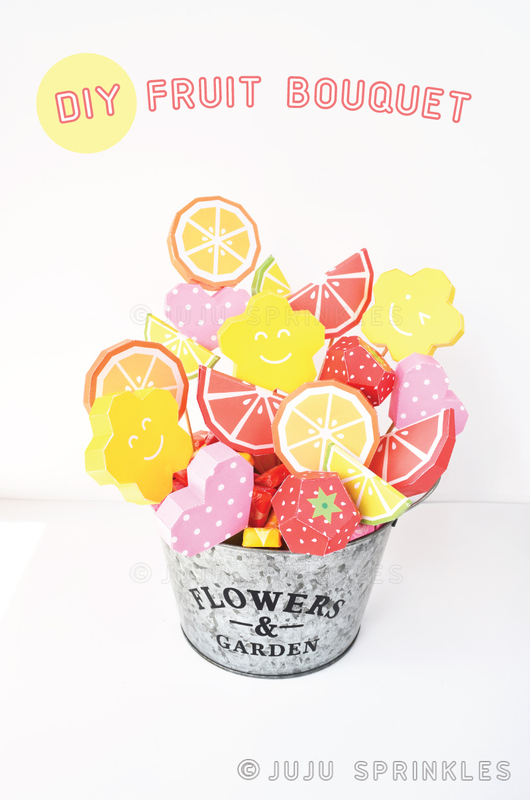 If you haven’t seen my post “How to make a $100 fruit bouquet under $20“, definitely check it out first. Here are some goals I set when I was sketching for a new fruit bouquet gift idea. This bouquet is definitely one of a kind, you won’t find a second of the same. I am positive that who ever receives this will be impressed! 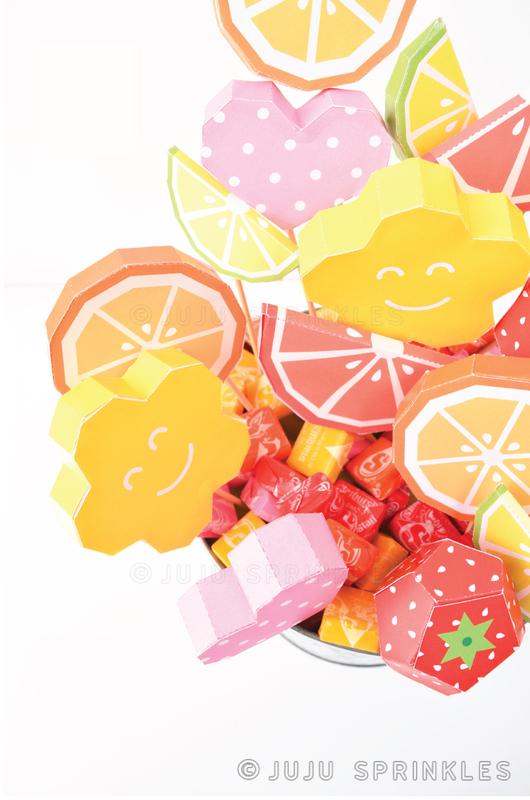 The paper fruit bouquet is adaptable for all kinds of occasions. 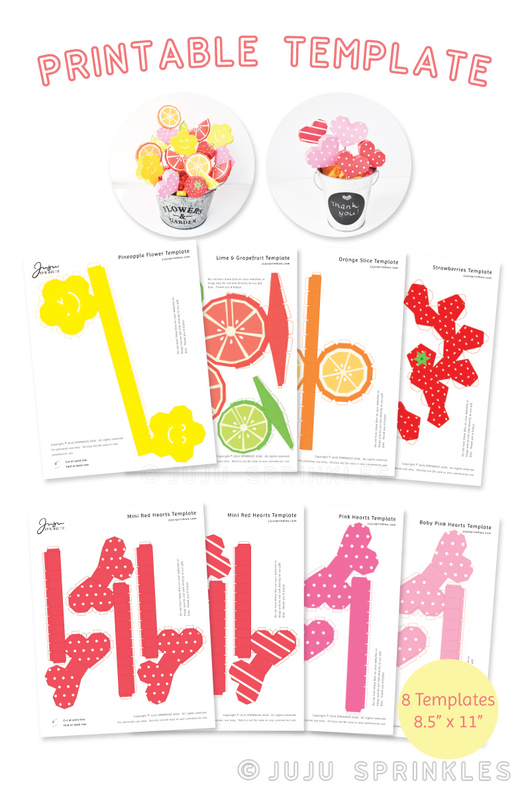 From Birthdays to Mother’s Day to Valentines Day, the template set gives you the options to mix and match fruits. It also comes with little hearts you can add for that special someone. I made this one with just the hearts. The more you make, the cheaper it gets! You can make just 3 hearts, or you can get a little bit fancy and make a big bouquet. Whichever you choose, it’s just cut, fold and glue. 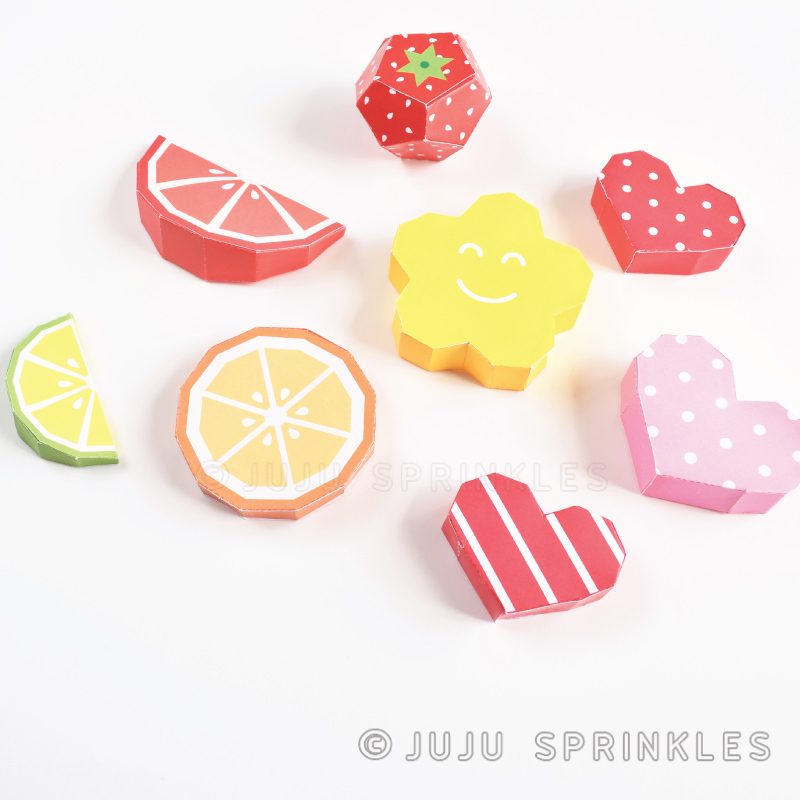 Of them all, the strawberry is probably the most challenging one to glue together with all the angles. But as long as you follow this basic technique of gluing a base first and then work around it, you will be a-okay! Make them ahead of time. 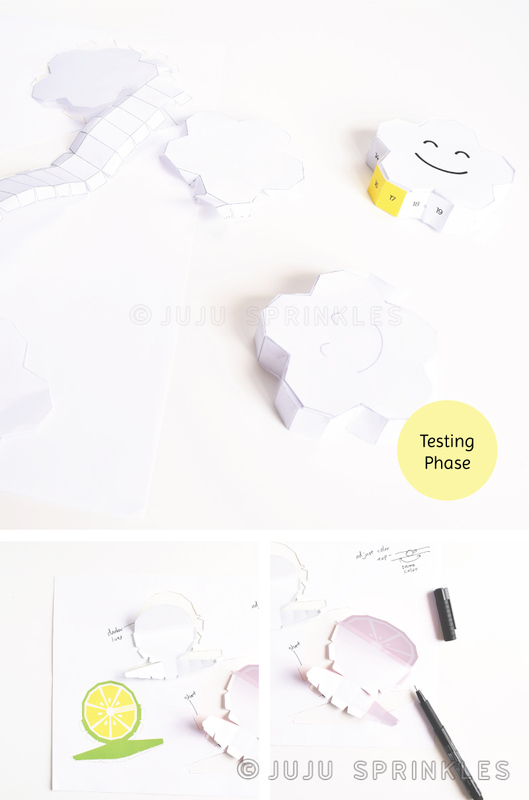 Whenever you have time, just cut, fold and glue. So when an occasion arises, all you need to do is pierce them on a skewer and assemble your bouquet. 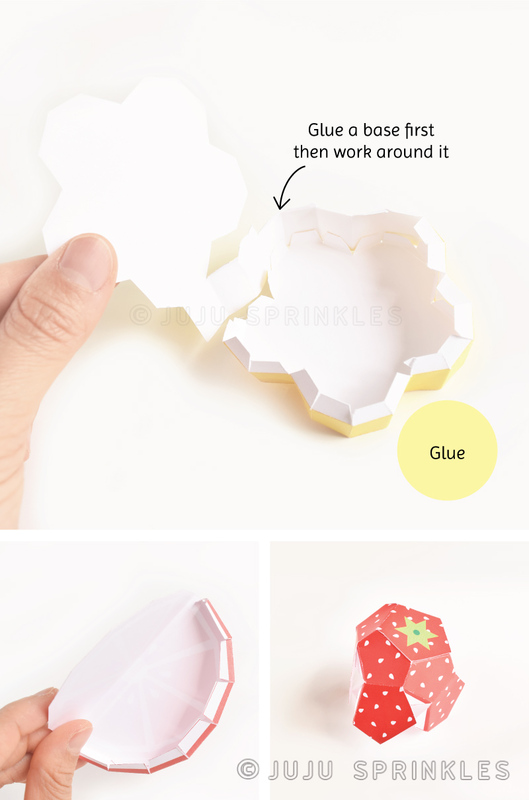 Or, if you need to decorate a box, just glue them straight on the lid! Skewer is your friend. 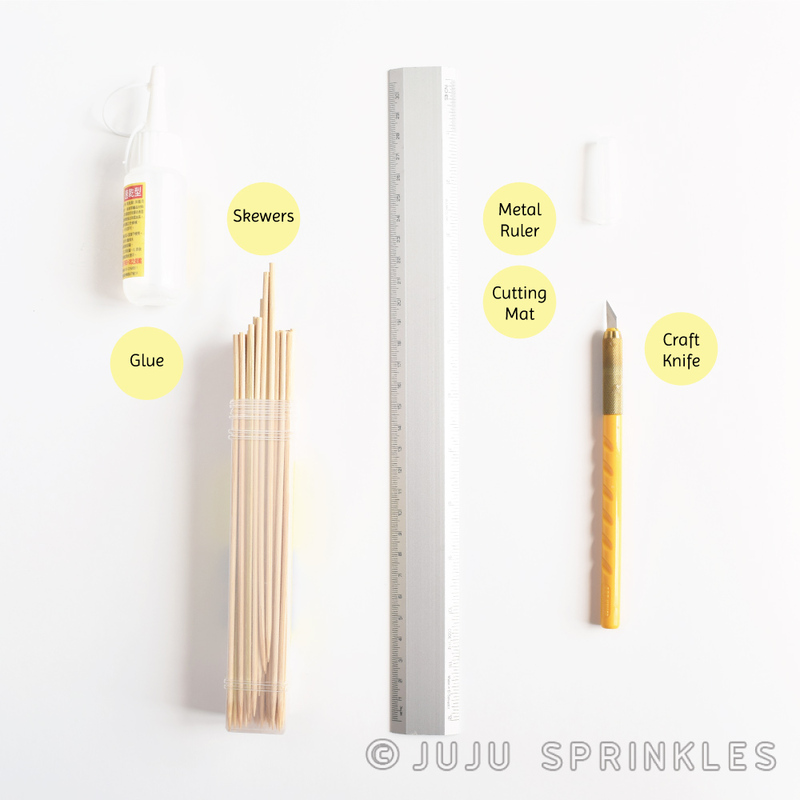 The sharp tip of the skewer is great for applying glue to the paper and reaching hard corners when you are gluing. Use glue sparingly. A little dab of glue goes a long way. Follow me for future post. 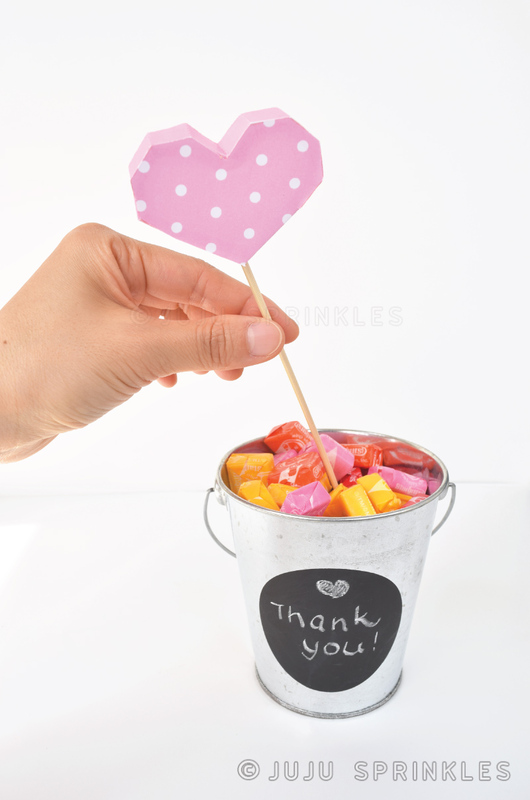 For more inspirations and exclusive offers, sign up for Sprinkles Letters. Receive useful and inspiring articles, tips and exclusive gifts by signing up today!